Learn how our new LSM 880 laser scanning confocal with fast Airyscan module can revolutionize your confocal imaging. The presentation will introduce the new technology and show a wide variety of applications. 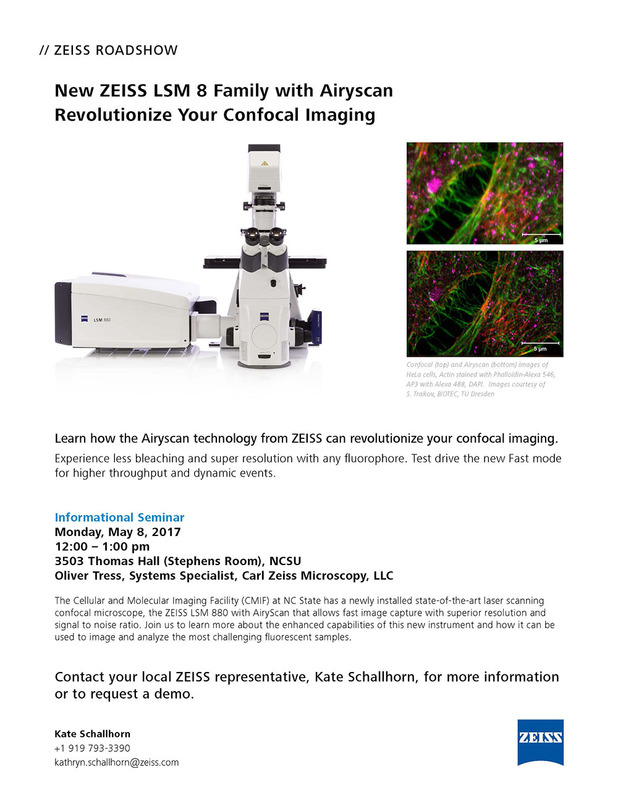 Get inspired and ask questions on how the new confocal can help advance your research project. Please stop by CMIF to see the new Zeiss LSM 880 with airyscan in action. We will have samples ready to demonstrate the equipment and the types of experiments that can be done. You are welcome to bring some samples to try, and we will do our best to accommodate you.